Charlotte graduated Dental Hygiene from Weber State University in 2010. She grew up in Roy Utah. She served a mission for the Church of Jesus Christ of Latter Day Saints, in the Wisconsin, Milwaukee Mission. She married her husband, Justin, in 2009, they have 4 beautiful children. Charlotte enjoys traveling with her family and loves to sew in her spare time. Ashley was born in Brigham City. She has worked for Haws Family Dentistry for 12 years. She started as an assistant in high school, and has since went on to further her education and graduated from Weber State University with a bachelors in Dental Hygiene in 2012. When she is not flossing her teeth, Ashley loves spending time with her husband and 3 little red heads that she absolutely adores. Ashley enjoys being outside gardening, camping and being crafty. Hadley graduated Bear River High in 2017. Hadley has been in the dental field for several years. She loves working with patients and caring for all their dental needs. She is in charge equipment maintenance as well as infection control for our office. She loves traveling, camping, riding ATV’s, shopping and spending time with friends and family. Jennifer has undergone our rigorous on the job training program. In her role as Office Manager and Patient Advocate, Jen is proficient in appointment scheduling, insurance coordination of benefits and financial arrangements. She assists patients in keeping within their dental budget and strives to create a memorable and pleasant experience each time they visit our office. Jen enjoys spending time with her husband of 24 years and her 5 wonderful children, with one grandbaby on the way. Alison grew up in Northern Utah. She served a mission for the Church of Jesus Christ of Latter Day Saints, in the Kentucky, Louisville Mission. Alison plays a crucial role in keeping the office running smoothly and efficiently. Whether you enter our office or call on the phone, most likely you’ll be greeted by Alison. She and her husband have been married for 18 years. Together they have been blessed with 5 beautiful children, including triplets! Alison loves spending time with family; her hobbies include cutting hair, reading, and traveling. Melissa grew up in Northern Utah. She is and AGGIE alumni with a Bachelors degree from Utah State University. She has been involved in the dental field for 12 years. 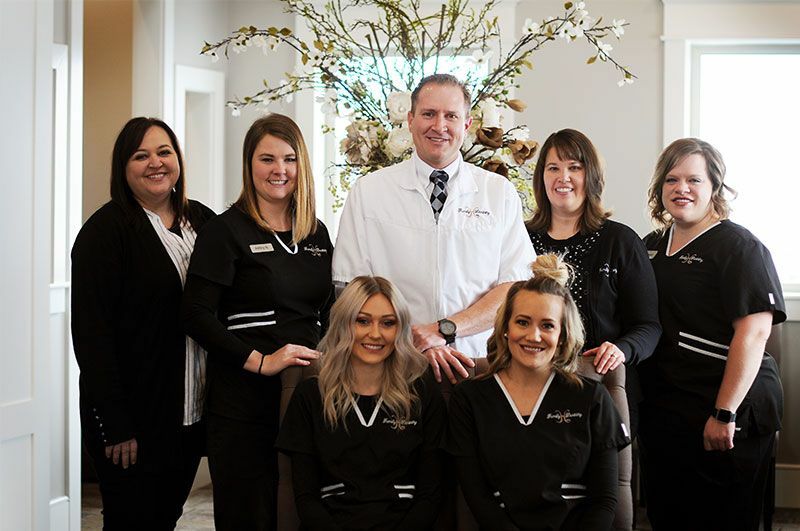 She is currently working at Haws Family Dentistry as a marketing and advertising specialist, in addition to balancing many other important office related responsibilities. She is passionate about dentistry and oral health. She is a member of the national Alliance of the American Dental Association (AADA), as well as the Alliance of Utah Dental Association. One of her many accomplishments related to the dental field was her service as the 2016-2017 state president of the Utah Alliance (AUDA). Melissa is married to Dr. Haws DDS, and together they have 4 beautiful children. She enjoys traveling and spending time with her loved ones.